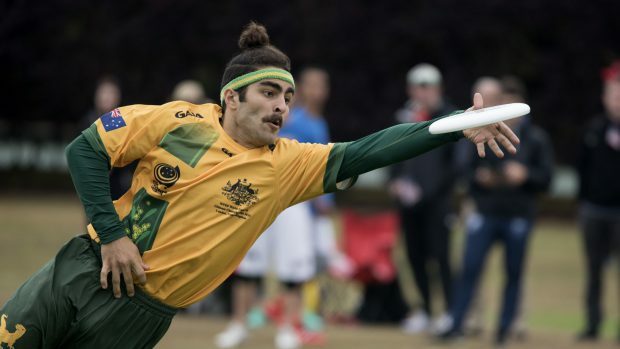 Look out Perth, the Ultimate Frisbee World U24 Ultimate Championships are coming. With over 41 countries represented, and over 1000 athletes, coaches and supporters from around the world on their way, something big is spinning our way. Frisbee, I hear you say. Hell Yes! In case you didn’t know, that humble bit of plastic that you threw around the backyard after Christmas lunch has metamorphosed into one of the most exciting and popular team sports across the globe. Going by the name Ultimate Frisbee, the sport is played by over 100,000 worldwide and is eligible to be a part of the Olympics in 2024. How did you get caught up in Ultimate Frisbee? It was back in 2003, when I was representing Australia in Gaelic Football and was on tour in Ireland. During some downtime, my Aussie team mate had a disc and told me about the sport (Ultimate Frisbee) and showed me how to do a forehand. I was instantly addicted and have been ever since. 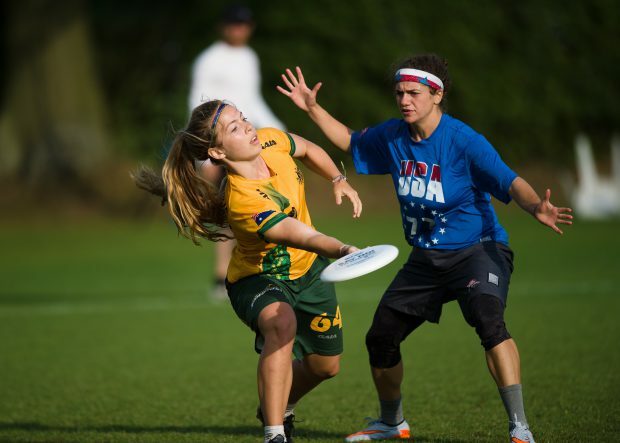 Have you played at at World Championships for Ultimate Frisbee before? Yes, I have competed at the The World Ultimate Championships in 2012 and 2014. I played for Australia at the 2011 and 2015 Asia Oceanic Ultimate Championships and the 2015 Beach Ultimate Championships. I have also coached at the U24 and U20 World Championships, and will do so again in 2018. There is nothing like receiving your green and gold jersey for Australia. Travelling the world and playing with your team is a great honour and an incredible experience. You form a bond with those team mates that you take wherever you go. At the end of the day it is always about the people you share that experience with and it is what you cherish most when you are competing at the highest level, representing your country. What is it like to be able to bring that experience to your hometown Perth? I can’t begin to imagine what it would be like to compete on home soil but I can assure you that we are going to be putting on a great show. Previous championships for this age group have been held in Florence, Toronto and London, so now it is Perth’s turn to represent. UWA Sports Park is one of the best facilities in WA and when you combine its lush surrounds, Perth’s glorious sunny days and those amazing west coast sunsets, we really do have something special to offer the world. And it’s not all just Frisbee, is it? There are the games, of course, but we’ve also got live acoustic acts each evening, local food stalls and a range of beverages to please everyone’s taste buds. There’s going to be family friendly activities as well, including a petting zoo, and there will be lots of competitions, so there really is going to be something for everyone. Finally, who will you be cheering the loudest for? Naturally I’d love to see the Aussies do well but I am really excited to see the teams that are taking part in their first U24 World Championships event such as Malaysia, China and Hong Kong. Its very exciting to have them along and join in the fun.